Brown and Green is a cafe kiosk in Gipsy Hill, South London. Part of a small familial group of food-centric cafes in the area, Brown & Green Gipsy Hill Station delights morning commuters and daytime travellers with much-needed sustenance. Owned and managed by the dynamic twin-sister duo, Laura and Jess, Brown & Green is the product of their combined creativity, passion and endless hours of hard work. The result? It's difficult to describe in so few words! While the other venues in this small group concentrate on wholesome & nutritious food, the kiosk at Gipsy Hill Station serves only a snippet of the usual offering, but enough to keep you going if in need. Expect exceptional Fair Trade teas and coffees, warm crispy-on-the-outside-soft-on-the-inside croissants and a selection of fruits, crisps and other soft drinks. 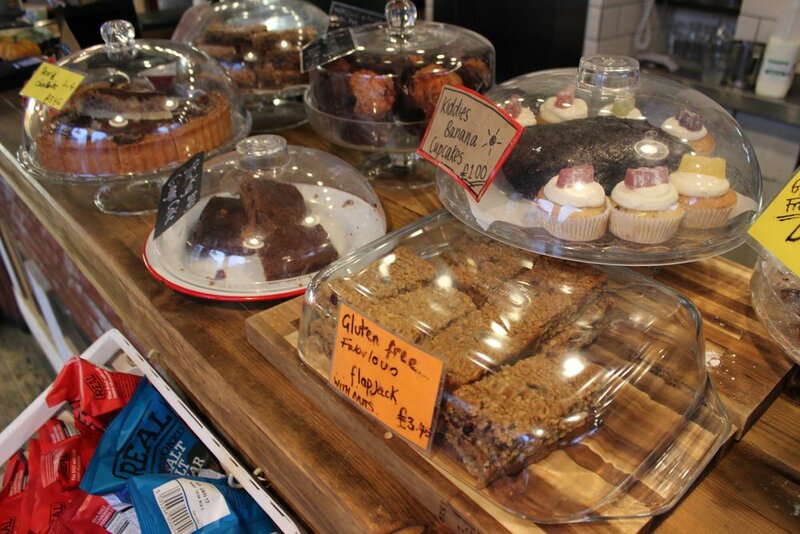 Oh, and often there's a cake, cookie, muffin or other indulgence available to sweeten up your morning. Brown and Green's other premises include; Crystal Palace train station, The Triangle (CP), Mayow Park in Sydenham and a small kiosk on Platform 1 of Crystal Palace Station.